Unbelievable. I’ve never been one for status symbols; to acquire unnecessary, expensive things for no reason other than to show off, or to exert my superiority over others always seemed like a bit of a waste of time. But just when I finally get around to converting my downstairs loo into a space simulator, a new study comes out which suggests this might not be the way to go. 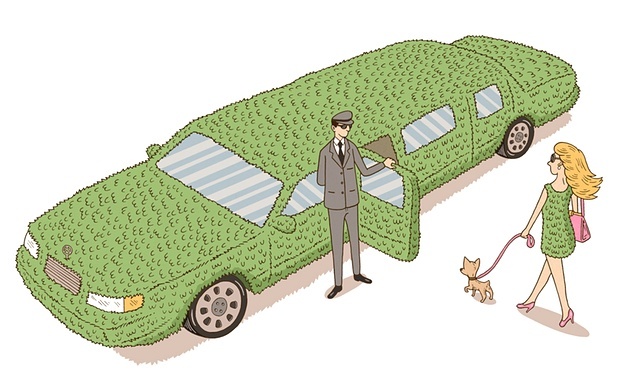 According to economists, ostentatious displays of wealth and privilege have become passe, crass and distasteful. The modern way to patronise our fellow humans is to put a bit more thought into it. So instead of impressing with designer handbags, flashy cars and massive rocks, the elite are repackaging their privilege to make them look less disgusting; they’re eco-friendly, they buy Fairtrade, donate to charity, use politically correct language, bring reusable cups to coffee shops, make eye contact with their staff and even acknowledge the homeless without visibly recoiling in disgust. Basically, they’ve still got all the other stuff at home, and inside their heads, they just don’t bring it out with them when they visit soup kitchens, shanty towns and refugee camps. Sam Bowman, executive director of the Adam Smith Institute, which commissioned the report, says that these “new aristocrats prefer to show off their privilege with hard-to-get retro clothes and objects, studying obscure subjects at university or even taking loud outrage-driven political positions, or making conspicuous donations to sometimes wasteful charities.” Which is a shame, because I’ve just ordered 10 large bags of 24-carat gold nuggets for my cat’s litter tray, as he’s not keen on the crystals or wood chips. Oh, and I invited my neighbour round to watch me open my kitchen window using a remote control pad rather than a pole, like some incredibly dull episode of the Real Housewives of Hackney Central (which doesn’t exist, more’s the pity). I’m not sure I prefer this new approach, to be honest. Whether you use economics, intelligence, gender, politics, knowledge or height, you’re still engaging in an act of ultimately futile and meaningless one-upmanship. Someone shoving a diamond ring in my face is no more crass than someone patronising me for my lack of education. I remember once, on a blind date, a well-educated, sophisticated man asked me how many O-levels I had. When I said none, he looked at me as if I’d just told him I’d gone to the toilet in my pants. He left. He’d clearly made all sorts of assumptions about me based entirely on my failure to get an RE pass. Education, like wealth, is a privilege. Working out which ethical products to buy, or the correct terminology to use in a debate, takes time and money. Having luxury opinions rather than luxury goods is still a luxury. Last year, writer James Bartholomew popularised the term “virtue signalling”, to describe the way people increasingly say or write things to show how compassionate they are, without actually doing anything. I’d say I fell into this category – but then the other day I walked an old lady over the road, so now I really am just as good as any cancer specialist or neonatal nurse. Virtue signalling is just another way of lording it over other people. Professor Ryan Murphy, who wrote the Adam Smith paper, says that “it is not so much about authenticity… as it is purely about the bohemian-bourgeoisie undertaking costly actions to demonstrate they are not complicit in the globalised, liberalised, capitalist order of the 21st century, even though they are the very elite of that order.” But it seems to me that if you have to think really hard about how best to present yourself in an authentic way, then you’re not an authentic person. Surely we’re supposed to have a conscience? Perhaps the bohemian-bourgeoisie should give everything away to me, in order to achieve this authenticity they crave so much. I’m not the slightest bit interested in being authentic or virtuous. My new hero is Mark Francis Vandelli from Made In Chelsea, who doesn’t know what a sleeping bag is and has special grape scissors.